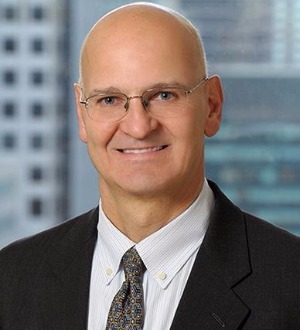 John M. Desmarais is the founding partner of Desmarais LLP. In 1988, after graduating from NYU Law School, Mr. Desmarais started his career at Fish & Neave. Then, after practicing in the area of intellectual property litigation and counseling for several years, he left private practice to serve as an Assistant United States Attorney in the Southern District of New York, where for three years (1992-1995) he tried criminal jury trials for the federal government. After leaving the government, Mr. Desmarais returned to the practice of intellectual property litigation at Fish & Neave, and later joined the New York office of Kirkland & Ellis. From 1997-2009, he was a partner at Kirkland and served as a member of the Firm Management Committee from 2004-2009. After 13 years at Kirkland, he left to found Desmarais LLP, an IP trial boutique. Mr. Desmarais is a member of the bars of New York and Washington, D.C., the U.S. Supreme Court, the Federal Circuit Court of Appeals, and various other federal district courts and courts of appeal. Mr. Desmarais is also registered to practice before the United States Patent and Trademark Office. Mr. Desmarais obtained a degree in Chemical Engineering from Manhattan College and a law degree from New York University.